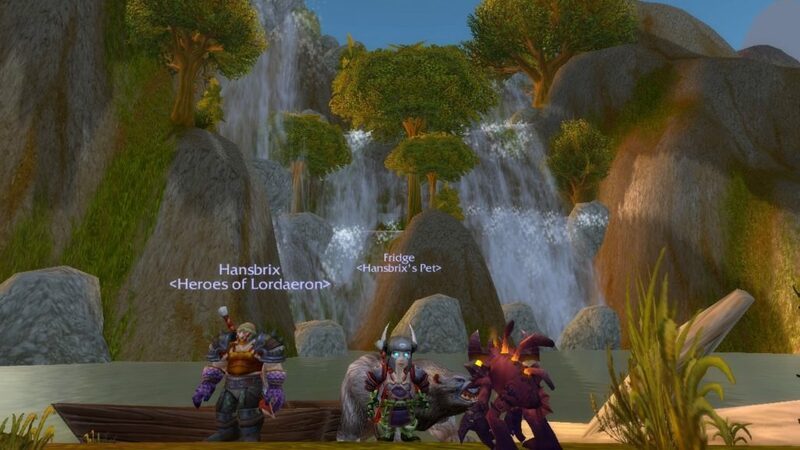 In episode seven of Skolnick’s Warcraft Less Traveled podcast, he talks about the Elwynn Forest Waterfall. 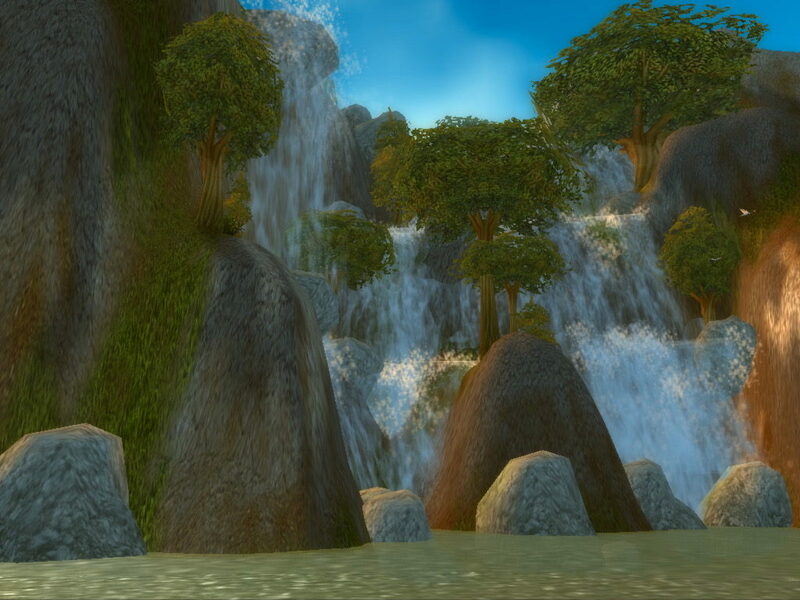 The Elwynn Forest Waterfall is something that you have flown over many times, probably while riding on a Gryphon. 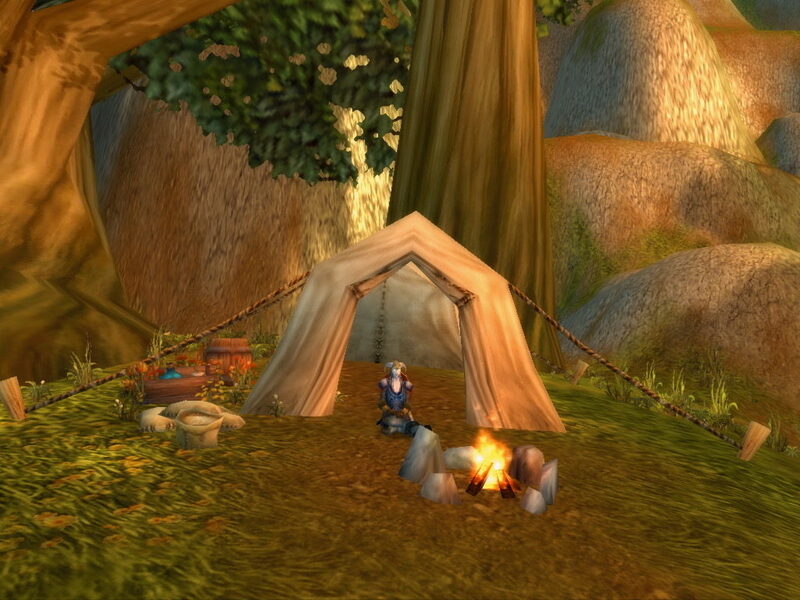 It used to take quite a bit of effort to actually get there and explore it before Cataclysm. I did manage to explore this destination before Cataclysm. 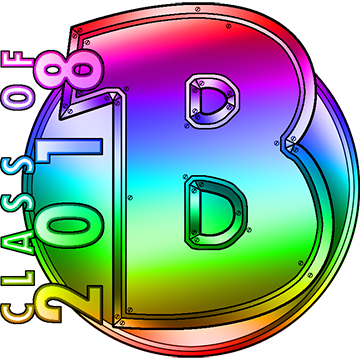 The screenshots you see in this blog were taken on July 7, 2010. Here is a view of the waterfall itself. 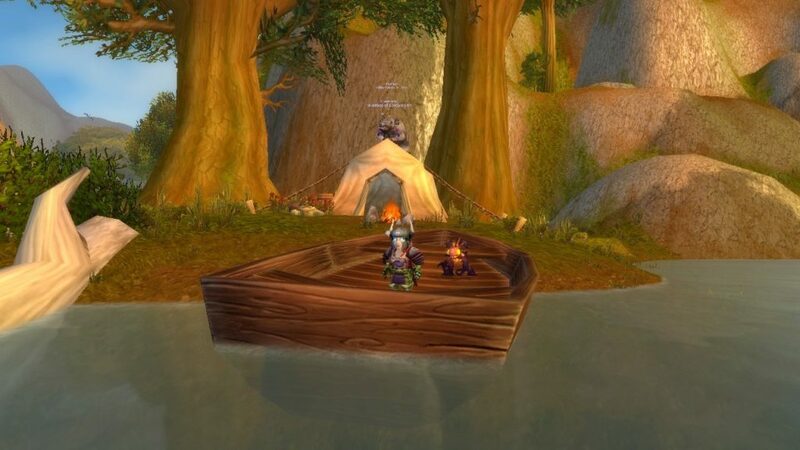 This was a good place to stand if you want to go fishing for peacebloom. 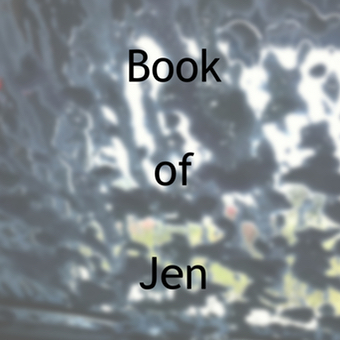 You had to aim for the circle of water that was not a school of fish. 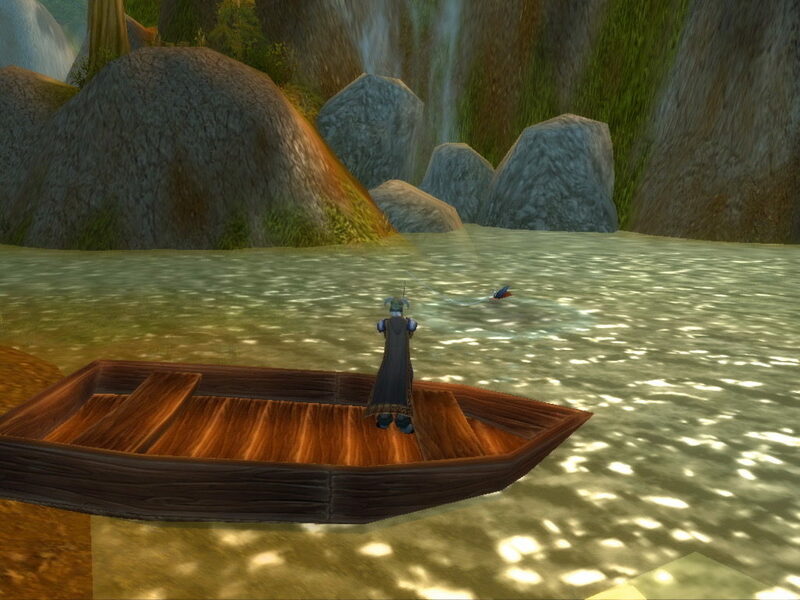 If you hit the right spot, you would end up with as much peacebloom as you care to take the time to fish for. As a Shaman, I had no idea what I was going to do with all of that peacebloom! 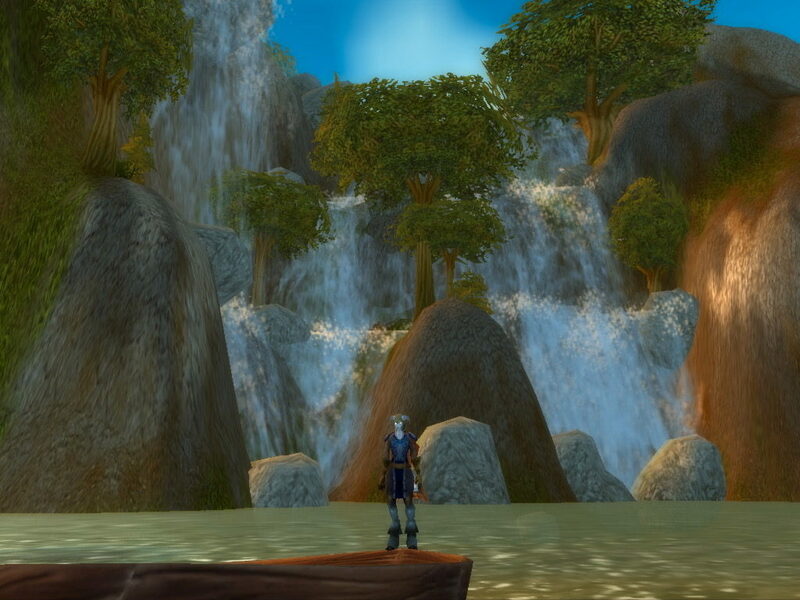 Of all the locations that were mentioned on Warcraft Less Traveled, the Elwynn Forest Waterfall was one that I was dead certain still existed after Cataclysm. 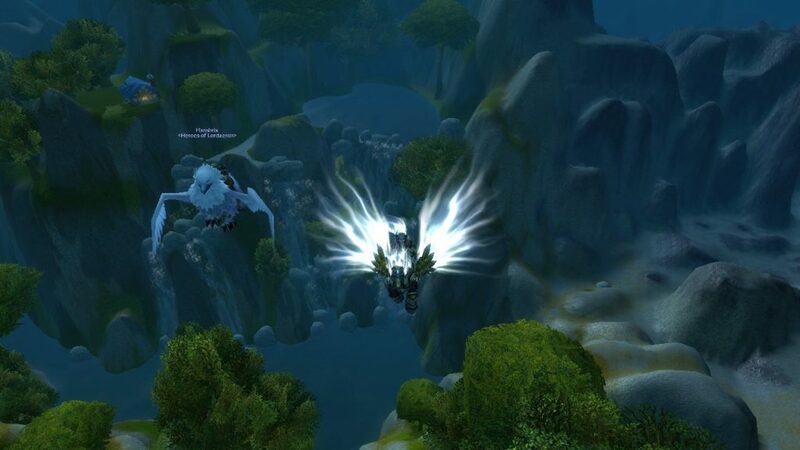 It is located along a Gryphon flight path, and I know I’ve seen it many times, from the air, since Cataclysm hit. This time, instead of making the tedious trek through the Burning Steppes, Hansbrix and I simply got on our flying mounts, and flew out there. The house near the top of the waterfall is still there. 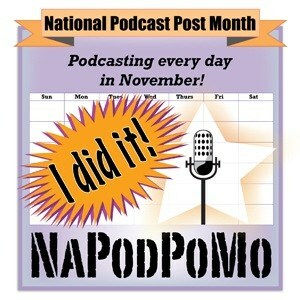 The screenshots you see in this part of the blog were taken on January 11 and January 12, 2012. Here is a much prettier shot of the waterfall during the day. The campsite is still here. 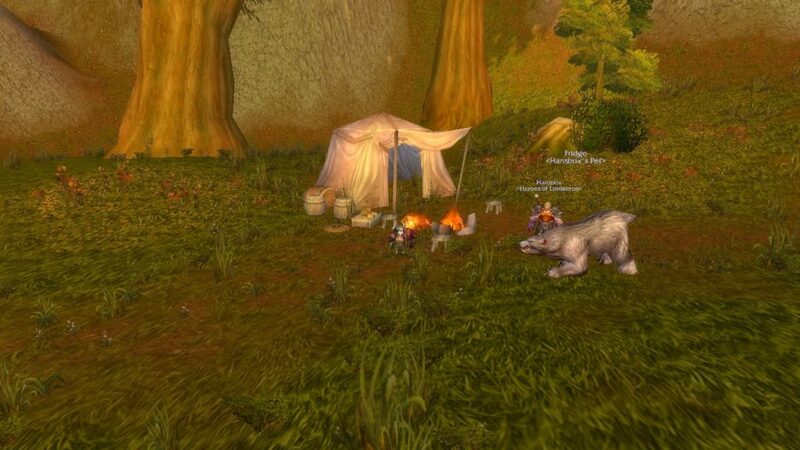 Hansbrix and his trained bear managed to balance on top of the tent. Ta-da! The boat is also still there. However, the “magic circle” in the water that allowed you to fish out as much peacebloom as your heart desired seems to be missing. Slightly farther away from the waterfall (and much closer to where the forest is on fire) sits this second campsite. 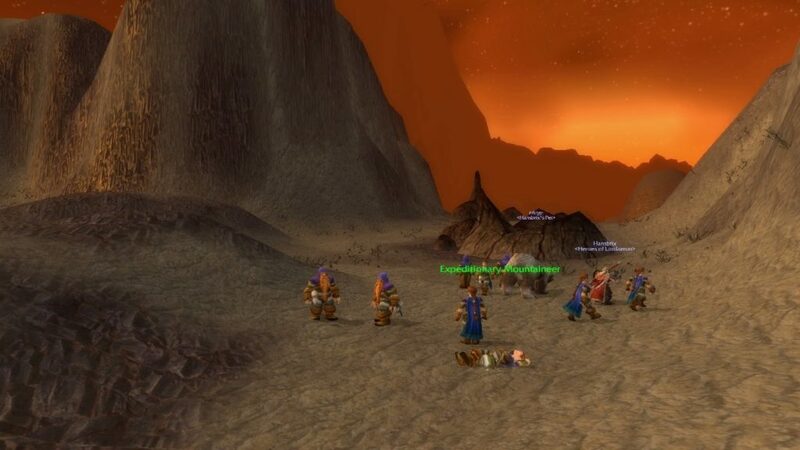 Before Cataclysm, you had to get to the Elwynn Forest Waterfall via the Burning Steppes. I don’t seem to have any screenshots from that part of the trip before Cataclysm, (because it was so incredibly frustrating, and I didn’t want to remember that part of the experience). In the past, there was a group of Dwarves who were getting ready to slay a dragon. 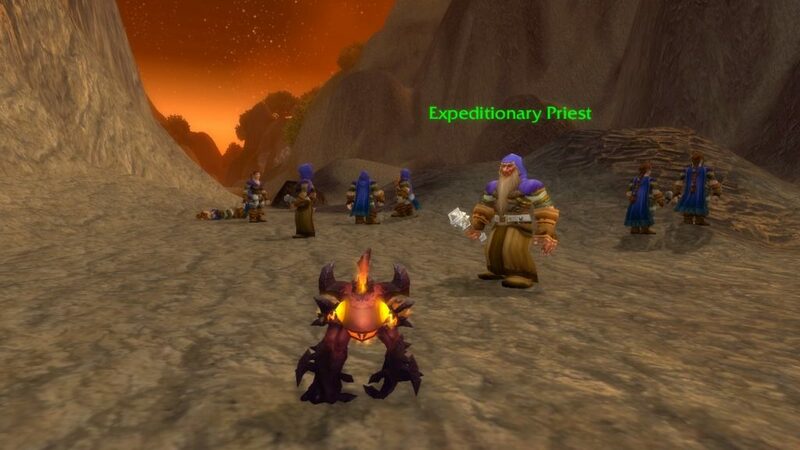 After Cataclysm, there is still a group of Dwarves out there. Most of them are Expeditionary Mountaineers. They are accompanied by one Expeditionary Priest, (who seems to be very unsure about what to make of Murkablo). This time, Hansbrix, the mighty Hunter, slayed the dragon!